In an attempt to streamline the reception of asylum seekers the EU Commission introduced its hotspot approach in 2015. But from the outset, there have been grave concerns that this approach has facilitated widespread human rights abuses, including the deprivation of liberty. The Commission's European Agenda on Migration introduced the hotspot approach in May 2015. 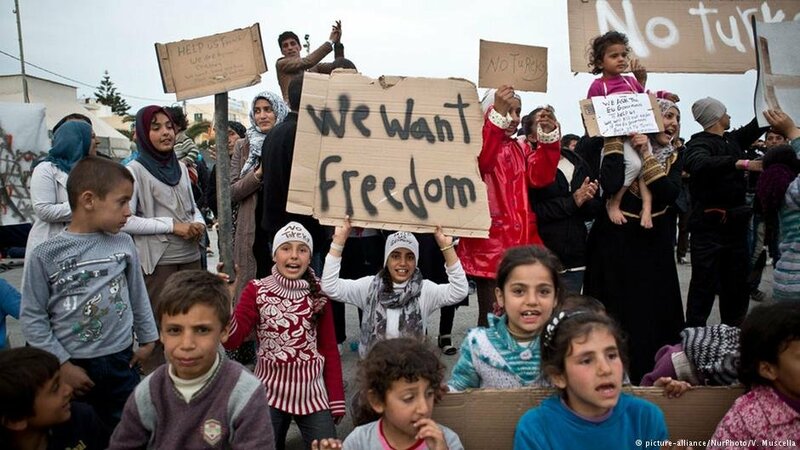 It was Brussels' response to the pressure that EU border countries were facing in the wake of the enormous influx of asylum seekers, many of whom were fleeing conflicts in the Middle East. 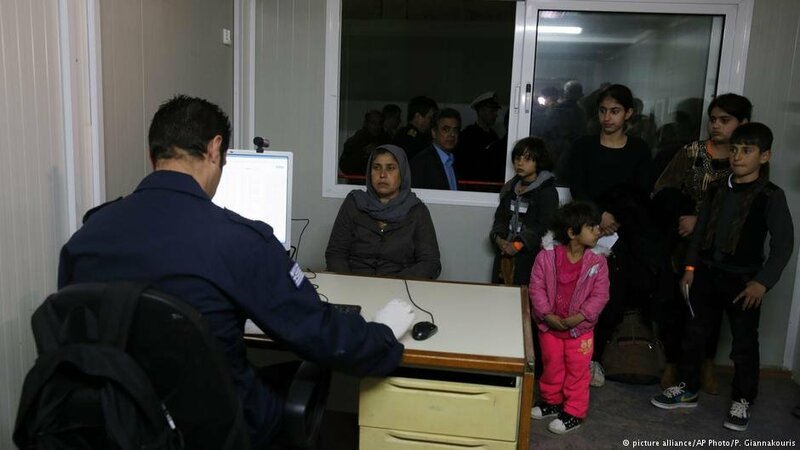 Under the approach, the EU was to provide assistance to frontline Member States in fingerprinting, registering and identifying new arrivals. These centers would operate as hubs, where asylum applications could quickly be processed and decisions on returning people could immediately be enforced. Another goal was to stop smuggling operations by means of a cooperation agreement between the European Asylum Support Office (EASO), Frontex, Europol and Eurojust. This involved interviewing people on arrival and prosecuting individuals, if necessary. There are currently 10 of these hotspots: five in Italy and five in Greece. In Italy, they are found at Pozzallo, Taranto, Trapani, Lampedusa and Messina. In mid-March 2018, Lampedusa and Taranto were temporarily closed after the living conditions and operation of these centers were severely criticized by civil liberties groups. In Greece, the hotspots are located on the islands of Lesbos, Chios, Samos, Leros and Kos. The initial intention of the hotspot approach was to accompany the EU’s relocation program. Asylum seekers would be registered at the hotspots and then transferred to other EU Member States. But this plan soon fell apart, not only because other Member States failed to accept sufficient numbers of asylum seekers, but also because the focus shifted from relocation to return in the Greek hotspots once the EU-Turkey deal was adopted. Under this deal, every person, including asylum seekers, arriving in Greece from Turkey after March 20, 2016, would be sent back to Turkey. In exchange, Turkey would be given €6 billion to assist its large refugee community, Turkish citizens would be allowed visa-free access to Europe, and a humanitarian scheme would be implemented to transfer Syrians from Turkey to EU Member States. As Amnesty International has pointed out, the premise on which the deal was established - that Turkey was a safe third country for refugees - was flawed. 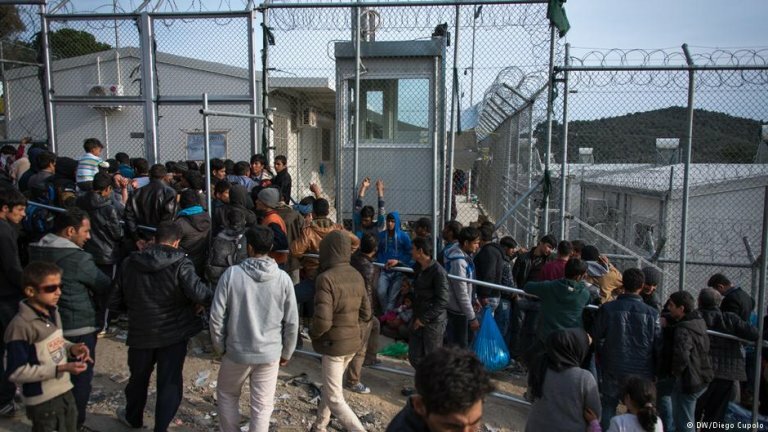 After the deal had been struck, Greece's asylum appeals committees held in many cases where Turkey would not be able to provide adequate protection. As Amnesty put it, "all asylum applications had to be assessed in Greece and, refugees were corralled on the Greek islands in squalid and unsafe conditions. "This has also resulted in severe overcrowding and people forced to live in shocking conditions. In the Moria camp, on Lesbos, for example, around 3,000 people are being housed in a center with the capacity for 2,000. Under Article 5 of the European Convention on Human Rights (ECHR), Article 9 of the International Covenant on Civil and Political Rights (ICCPR), and Article 6 of the Charter of Fundamental Rights of the European Union, everyone has a right to liberty and security. Under international law, a state must meet certain obligations if a person is detained. "In line with the principles of necessity and proportionality, immigration detention should be imposed only as a last resort when there are no available non-custodial alternatives to detention. Detainees should also be afforded procedural safeguards, including information about the reasons for their detention and access to judicial review, and adequate conditions of detention." In June 2017, Francois Crepeau, UN Special Rapporteur on the human rights of migrants, published a report based on his visit to several Greek hotspots. He described meeting women being held at the Elliniko Pre-Removal Center for Migrant women, many of whom had been there for over six months. This is despite Greek law stipulating that the detention of an asylum seeker is a ground for accelerating the asylum procedure. Many of these women had no information about their rights, how to apply for asylum or what the next steps should be. He described a situation where cell phones were confiscated, leaving people with no access to the outside world. He also described the circumstances of new arrivals at Greek hotspots, who were subject to a restriction on their freedom of movement, which often lasts longer than the prescribed 25 days. As well, he said, since "migrants detained in the hotspots do not receive a detention order, challenging the detention is impossible." Majcher has criticized a unique feature of the Greek hotspots: even if people are allowed to leave the hotspot center, they are still confined to the island. She argues that, "the obligation to stay on an island for several months, imposed systematically and without individualized assessment on every person seeking asylum in Greece, and exposing individuals to dire living conditions, tends to go beyond the permissible restrictions on freedom of movement." Perhaps most concerning is the detention of children, including unaccompanied minors. After meeting with some of the unaccompanied minors at the Moria hotspot on Lesbos, the UN Special Rapporteur said, "Children in 'protective custody' lack access to interpreters, to legal assistance, and to information presented in a child-friendly manner, and hence are not aware of the reason for their detention, of the next steps in the process or of their rights." He described many of them as seriously traumatized, with a particularly high number of suicide attempts at this hotspot. The Special Rapporteur has recommended that the EU and the Greek government "urgently consider alternatives to detention for all migrants, and especially unaccompanied minors and families with children." He also stressed that detention should only be ordered in exceptional circumstances.